Ah, pudding. Evocative of childhood snacks and a warm stove as your mom or dad stirred until the mixture thickened, then cooled as you waited impatiently; or the ready-made cup packed in your lunch with a spoon that you hurried through your limp sandwich and bag of carrots to devour. But real pudding is made with real milk, so for those of us with late-onset lactose intolerance and sudden-death chocolate or vanilla pudding cravings, this is kind of a bummer. Thank goodness for ZenSoy. 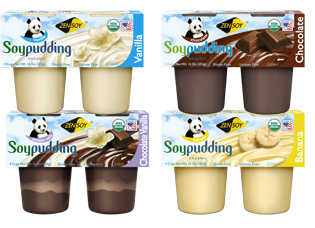 Among their products, they have four flavors of soymilk-based pudding: Vanilla, chocolate, chocolate/vanilla swirl and banana. Chocolate/vanilla swirl is in my house right now. I love this stuff. It tastes SO good—that rich, creamy and satisfyingly full-flavored experience where you seek out every last ounce with your spoon. 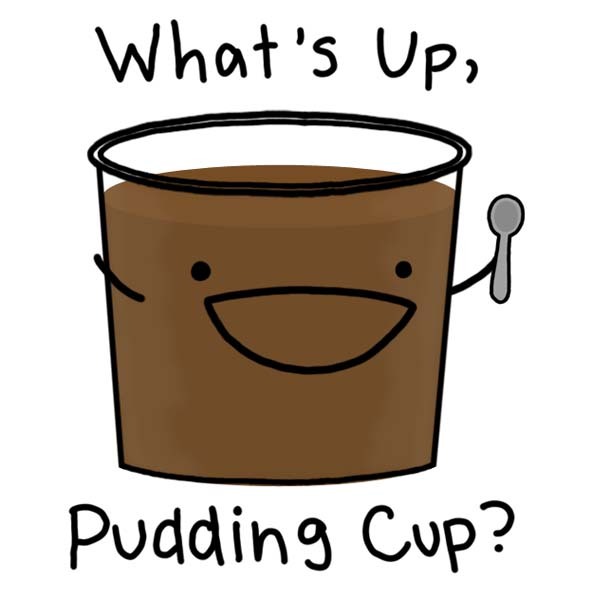 Yes, I admit it: I’m a lid-scraper where this pudding is concerned. I wouldn’t recommend eating these like there’s no tomorrow; it is a snack, after all. Water is the first ingredient, then organic soy milk, then organic cane juice and corn starch. Organic cocoa shows up as ingredient #5. But the taste is completely satisfying if you want that as-close-as-you-can-get-to-the-real-thing taste bud sensation, and there are D and B vitamins if you need to add to your excuses for indulging. Want to try it but your store doesn’t have it? Vegan Essentials does. I hadn’t come across this site before, but it’s bookmarked now.